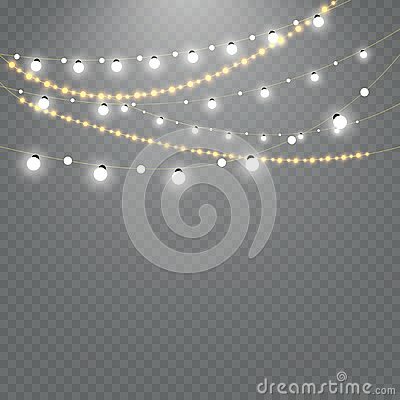 stock image of Christmas lights isolated on transparent background. stock image of Lights on wooden background. stock image of Christmas lights isolated on transparent background. Set of golden xmas glowing garland with sparks. stock image of Light flare special effect. Illustration. stock image of Christmas golden lights vector set on transparent background.